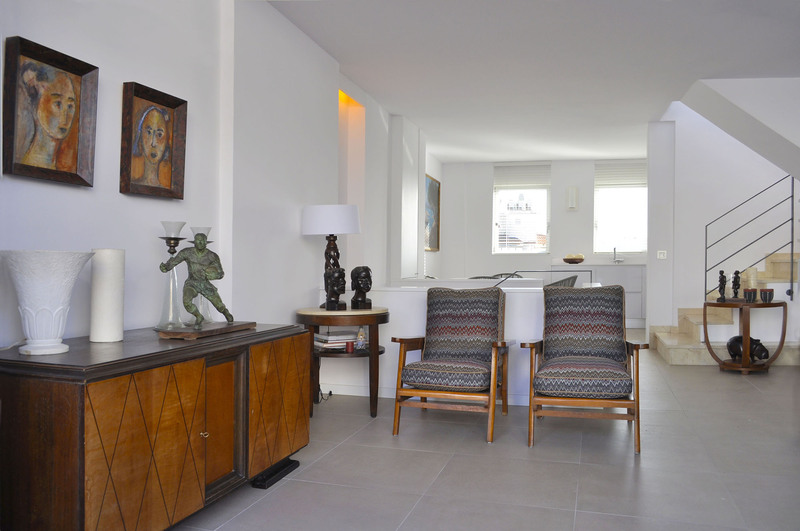 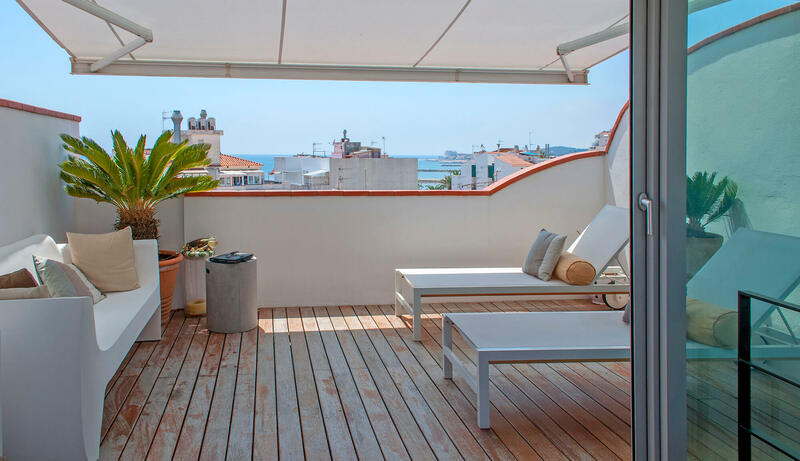 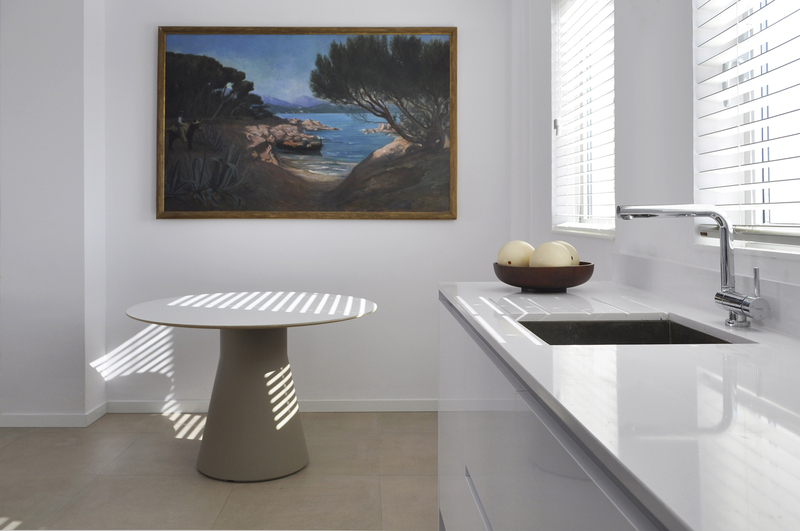 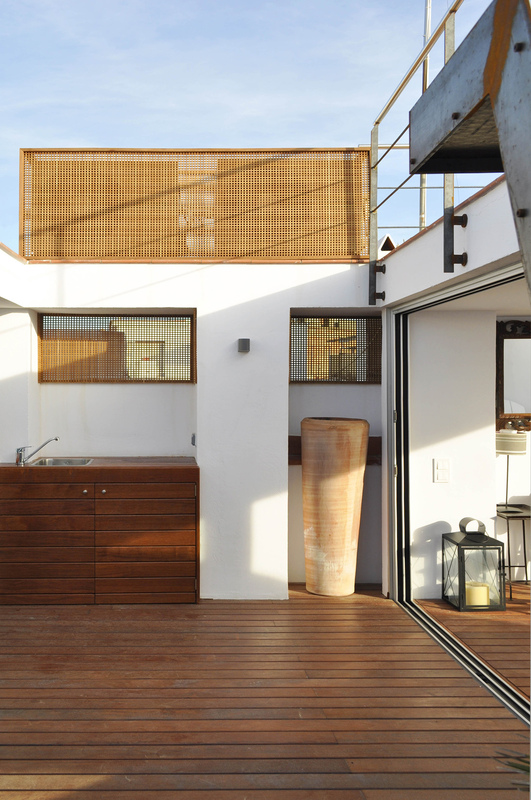 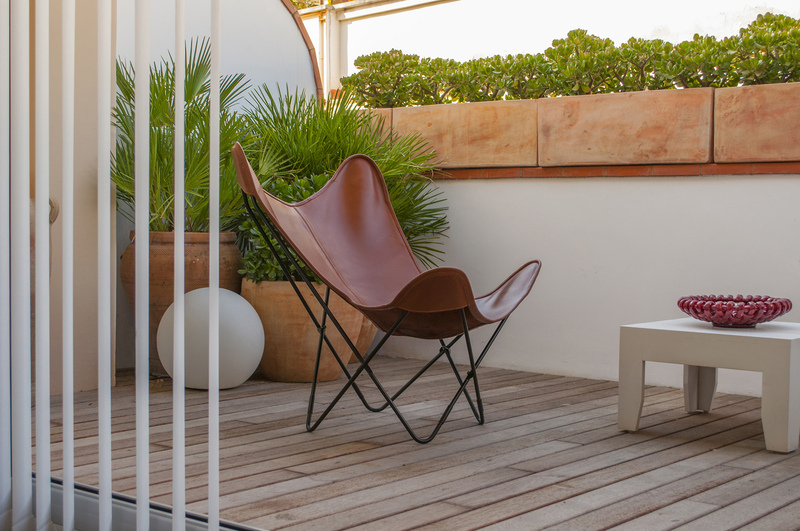 In Sitges, Barcelona, we found a duplex with imposing view to the Mediterranean Sea. 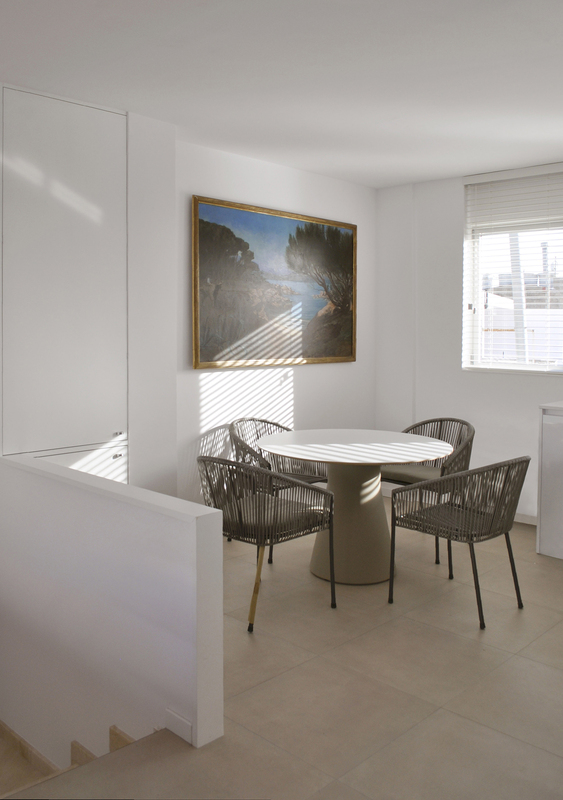 The owners, who much appreciated living outdoors, agreed with our architects that their current property needed from a full refurbishment to take advantage of its true potential. 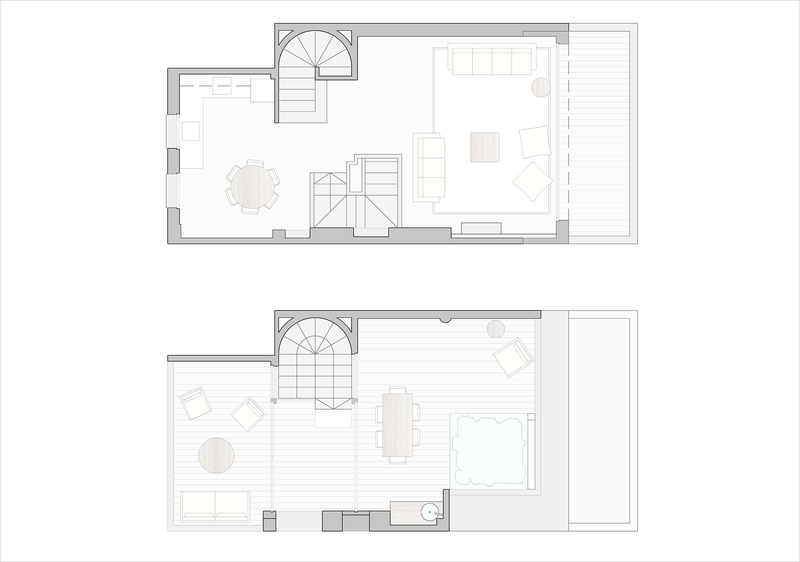 On the top floor, the duplex had two small and disconnected balconies, interrupted by the stairwell. 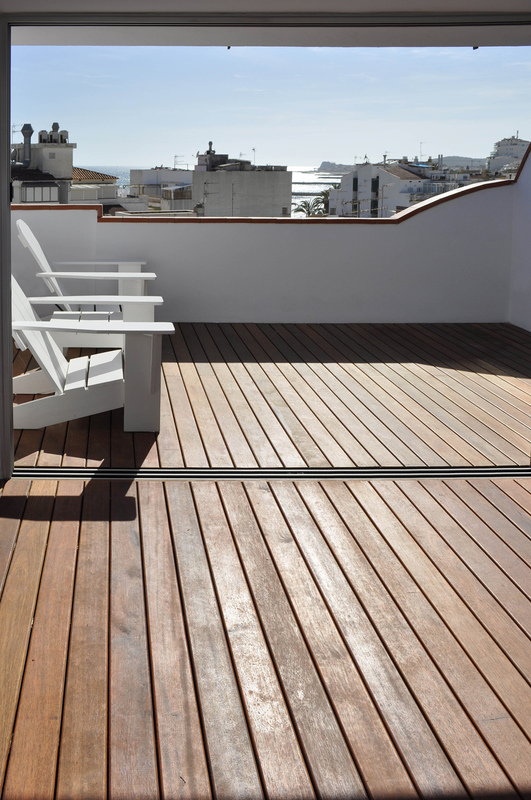 In agreement with the owners and after a series of conversations, we decided to transform the whole top floor into a one large terrace. 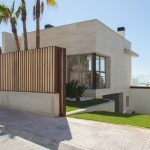 Our goal was to design an outdoor living space, ideal for sharing with family and friends while appreciating the unique views of the city and Mediterranean sea. 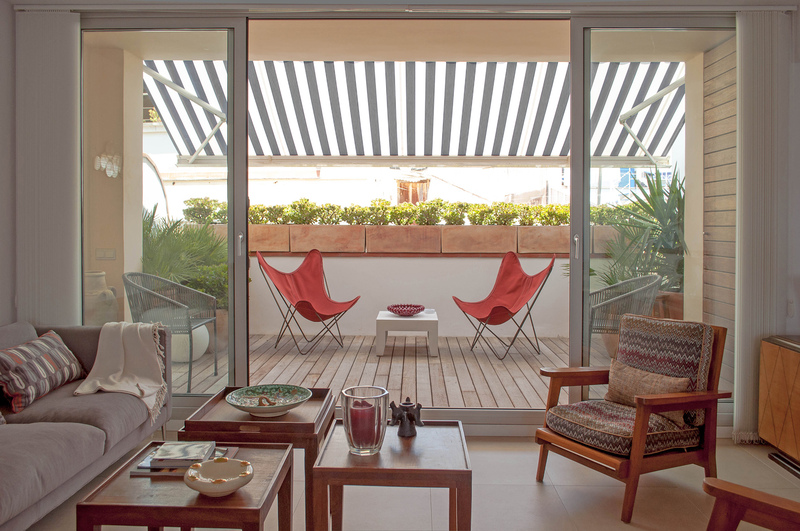 We demolished all existing divisions and transformed the three small rooms into a single and wide terrace. 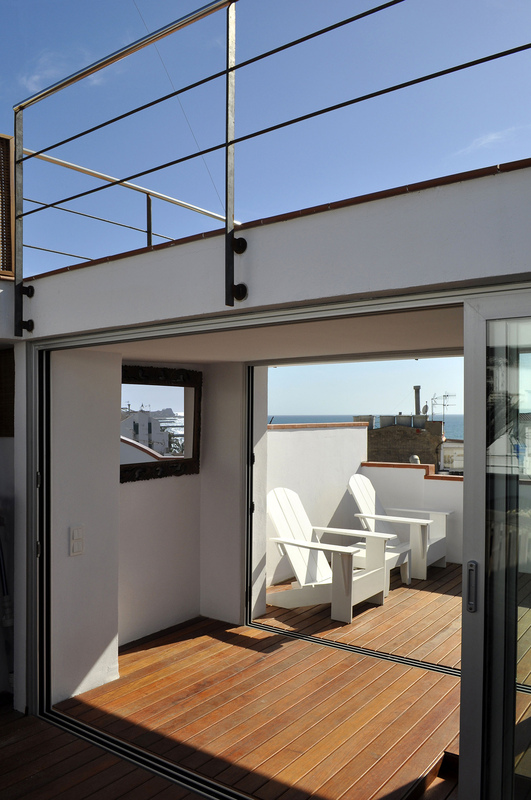 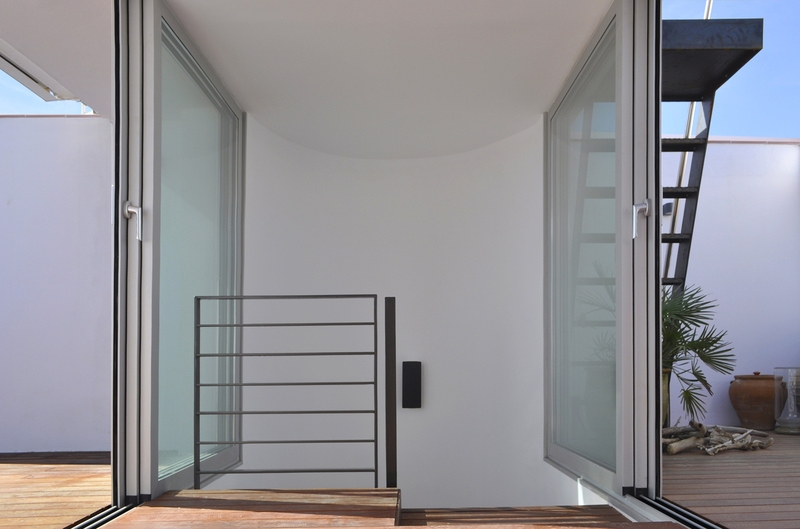 We raised the floor level with a wooden deck and undercover all the window guides and rails to create a functional continuous surface. 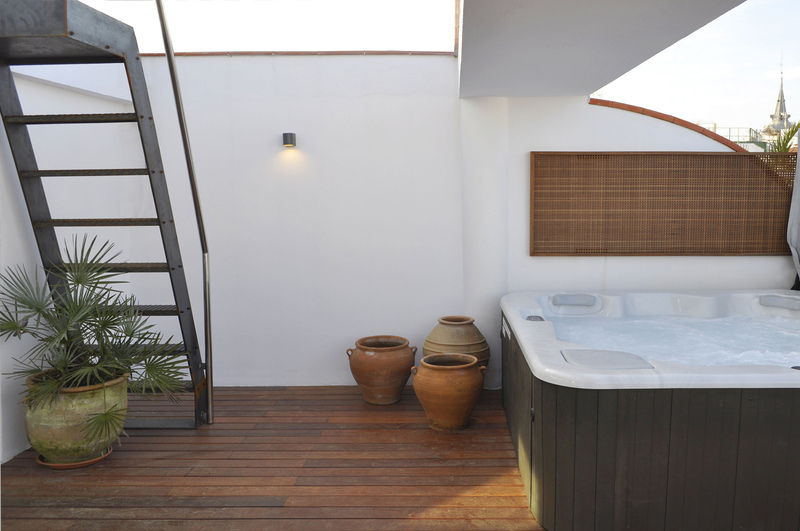 We fully equipped the terrace with a jacuzzi, outdoor furniture and added vegetation to raise its privacy.